Technological tools as robotic devices and wearable sensors can provide accurate and repeatable measurements of physical variables (e.g., position, velocities, forces) which can be used for quantitative and qualitative assessment of movement analysis and upper limb motor performance. 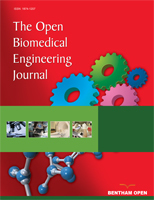 The study aims to propose a quantitative and qualitative assessment of upper limb motor performance by means of seven kinematic parameters recorded by a passive mechatronic device in patients who underwent a surgical procedure for ligament reconstruction following acromioclavicular joint dislocation. Five patients (mean age: 40 ± 12 years) with acromioclavicular joint dislocation were enrolled. A passive end-effector mechatronic device characterized by 7 degrees of freedom and designed for the assessment of upper limb motor performance - especially for measuring the hand position in three-dimensional space - was used. The Constant-Murley score and seven kinematic parameters were used as clinical outcome measure and quantitative and qualitative assessment, respectively. The preliminary results of this study show no significant differences between the impaired arm and unimpaired arm: the end-effector passive mechatronic device used in this study is able to provide an overall assessment of the upper limb motor performance following shoulder impairment. The motion tracker can be easily used as effective tool for quantitative and qualitative assessment of upper limb motor performance, even several years after the surgical operation. Keywords: Orthopaedics, Rehabilitation, Upper limb, Assessment, Kinematics, Surgical operation. © 2018 Mazzoleni et al.